Every kid who ever visits the Royal BC Museum in Victoria is always impressed with the giant mammoth. It's almost the first thing visitors see as they enter the exhibits. Over the years they have enhanced the display with sound effects and a wall of real ice. 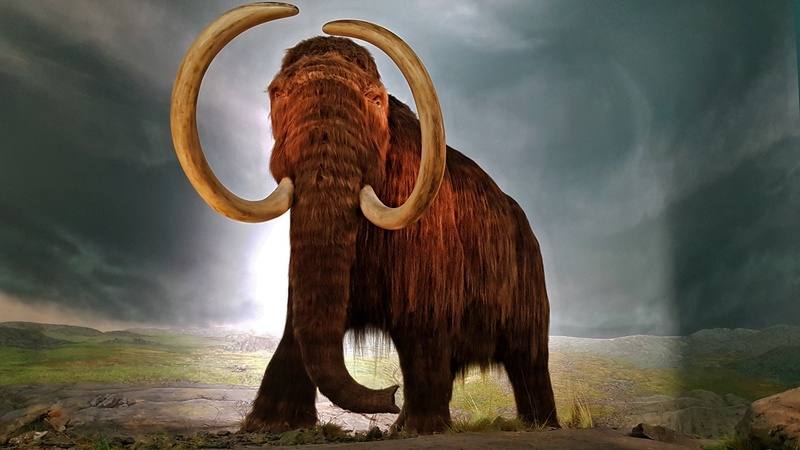 There is some evidence to suggest that mammoths form part of Native American oral tradition. It suggests that both groups lived together at the same time, possibly as recently as 4000 years ago.